Robots can also lend a hand of sorts. Robots can hand medicine to patients. That may sound far-fetched, but in addition to vacuuming robots can already mop our floors and mow our lawns. Experimental robots help lift people into and out of chairs and beds, follow recipes, fold towels and dispense pills. Soon, autonomous (self-driving) cars will ferry people to appointments and gatherings. The kinds of robots already available include models that drive, provide pet-like social companionship and greet customers. Some of these technologies are already in limited trials in nursing homes, and seniors, of course, can already rely on their own Roombas. Pepper, a social companion robot, in a retail environment. While some tasks remain out of reach of today’s robots, such as inserting IVs or trimming toenails, mechanical caregivers can offer clear advantages over their human counterparts. 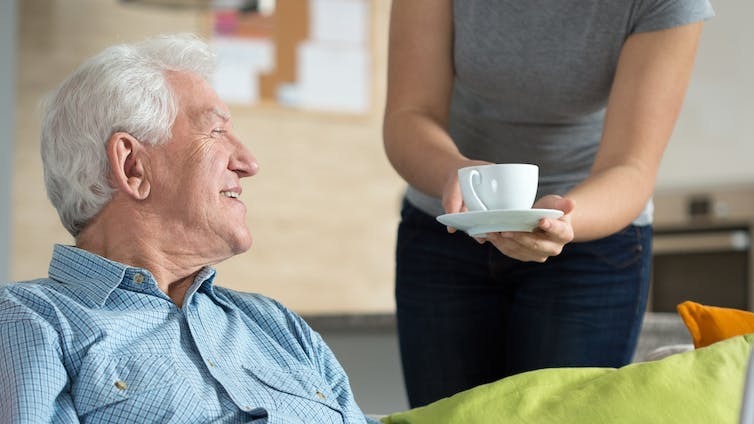 And since using devices isn’t the same as asking someone for help, relying on caregiving robots may lead seniors to perceive less lost autonomy than when they depend on human helpers. Jenay Beer, a researcher at the University of South Carolina, advocates using robots to help elders age in place. This brave new world of robot caregivers won’t take shape unless we make them user-friendly and intuitive, and that means interaction styles matter. 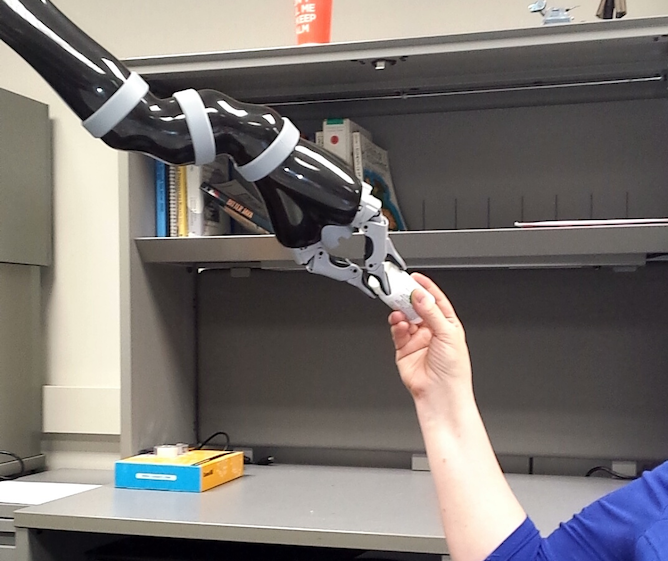 In my lab, we work on how robots can interact with people by talking with them. Fortunately, recent research by the Pew Research Center shows that older adults are embracing technology more and more, just like everyone else. But the fact is we don’t need all the answers before robots begin to help elders age in place. After all, there’s no time to lose. The Census Bureau estimated that 15 percent of Americans – nearly one in six of us – were aged 65 or older in 2016, up from 12 percent in 2000. Demographers anticipate that by 2060 almost one in four will be in that age group. That means there will be some 48 million more elderly people in the U.S. than there are now. I believe robots will perform many elder-care tasks within a decade. Some activities will still require human caregivers, and there are people for whom robotic assistance will never be the answer. But you can bet that robots will help seniors age in place, even if they won’t look like butlers or pastry chefs. Will Blackness be Relevant in the Future?